Banaz: A love story - sister-hood magazine. A Fuuse production by Deeyah Khan. Banaz Mahmod was murdered by her own family in an ‘honour’ killing. Deeyah Khan’s debut documentary film tells Banaz’s story for the first time – as well as the story of the extraordinary police team who refused to give up, and who finally brought her killers to justice. The film chronicles an act of overwhelming horror – the ‘honour’ killing of Banaz Mahmod, a young British woman in suburban London in 2006, killed and ‘disappeared’ by her own family, with the agreement and help of a large section of the Kurdish community. It was a case which shocked the entire world and received enormous international press coverage; but until the making of this film, the voice of Banaz herself had never been heard. As the result of four painstaking years gaining the trust and co-operation of the police officers who solved the case, the film contains heartbreaking footage of Banaz herself, predicting her own brutal murder. The footage has never been seen before. And Detective Chief Inspector Caroline Goode, a senior detective at Scotland Yard, who came to love Banaz over the course of investigating her murder. Caroline’s dedication drove her to find Banaz’s body as well as her killers, who were hiding from British extradition procedures in Iraq. And it is the story of the filmmaker Deeyah, herself a victim of harassment within a tight-knit Muslim community. It was Deeyah’s love for the story, for Banaz, for Bekhal and for Caroline, and her drive to raise awareness around the issue of honour killing, that drove her to spend four years making this harrowing and emotionally resonant film. Banaz is a symbol of both horror and hope in the fight against harmful cultural practices which claim the lives of many of other women like her. This film is an act of remembrance and recovery. Despite her family trying to erase her from the face of the earth, Banaz’s voice is still being heard. 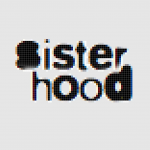 sister-hood is making this film available to mark this year’s 16 Days of Activism Against Gender-Based Violence – a campaign to challenge violence against women and girls.